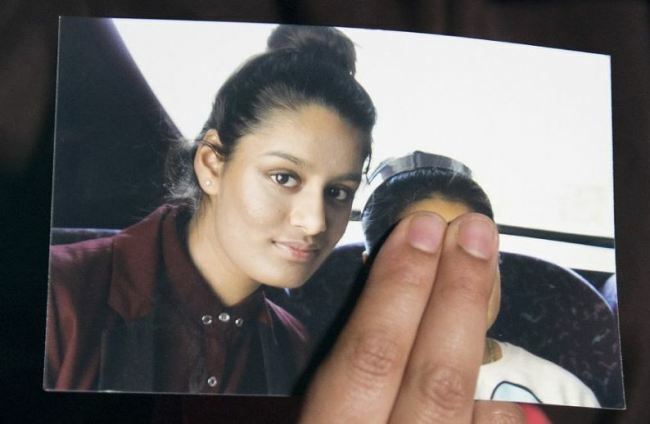 The Dutch husband of Shamima Begum, a British-born teenager who fled to join Islamic State, wants to live with her in the Netherlands, the BBC reported Sunday after finding him in Syria. Yago Riedijk, who is being held in a Kurdish-run detention centre in northeast Syria, married Begum days after she arrived in territory held by IS when he was 23 and she was 15, he told BBC television. Begum, 19, from east London and now in a refugee camp, has said she would like to return to Britain but has been stripped of her British citizenship by the government which calls her a security threat. Riedijk, who is 27 and says he now rejects IS, having fought for the jihadist group, says he wants to return home to the Netherlands with his wife and their newborn son. Their first two children died. In a first extract from the interview released by the BBC, he was asked if he thought marrying a girl of that age was acceptable. "When my friend came and said there was a girl who was interested in marriage, I wasn't that interested because of her age, but I accepted the offer anyway," he replied. Riedijk, from Arnhem, told the BBC that he had been imprisoned and tortured after IS suspected him of being a Dutch spy. He surrendered to Syrian fighters.